There is a familiar formula at work in Injustice 2, but when the end product is so polished and entertaining, it can be hard to complain about that sense of familiarity. However, the more time I spent with Injustice 2, the more I came to appreciate some of the additional hooks the game provided that kept me coming back for more. Fighting fans no doubt recall the interesting mash-up fighter Mortal Kombat vs. DC Universe almost a decade ago. The idea was a fascinating one, taking a beloved fighting franchise and adding some popular faces from another property to the mix. 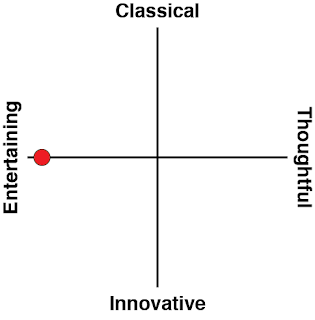 The results were interesting, even if the game itself wasn't as compelling as it should have been. The blending of worlds really did not pay off in a odd storyline, and the game never really gained an identity all of its own because it was trying to pay homage to two things at once, and never really nailed either one. Then a few years ago, the first Injustice game released and it developed a much clearer identity. The core system sure was familiar, as both Injustice and Mortal Kombat have found great success using the same engine now to deliver a fast, slick and entertaining fighting game. The broken bones and over-the-top gore of Mortal Kombat was replaced with a slightly more family friendly form of... well, still violence, as it tried to appeal to more mainstream (and often younger) comic book fans. 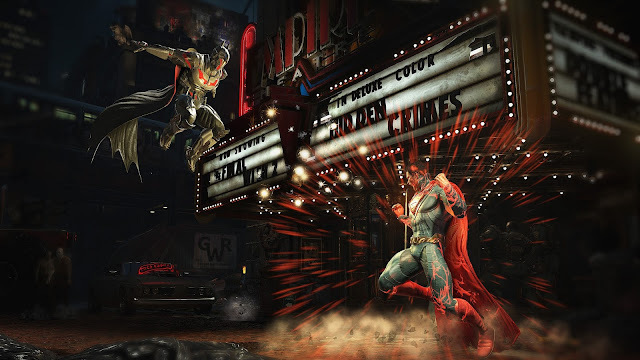 That said, you can't sugar coat it; Injustice was a violent game, and the sequel is the same. Roughly in line with the DC Universe's attempt to be a grittier take when compared to Marvel, there is also plenty of dark content here which should still appeal to fans of the DC source material. The story of Injustice 2 follows the events of the first game, giving us a handful of flashbacks to specific encounters along the way, but mostly focusing on the after effects of the initial title's conclusion. In the first Injustice Superman went dark - not outright evil, but compromised enough to be a genuine anti-hero, as opposed to the recent Batman Vs. Superman film, where the two were falling out over a glorified misunderstanding. Eventually Batman was able to take Supes down in that title, and that helps to set the stage for a more standard good-and-evil story in Injustice 2, where there is a standard out-and-out baddie evil that threatens the entire world. This forces an uneasy alliance between two the standard hero-and-villain dichotomy, and away we go. As a premise, I really enjoy what Injustice 2 has done. It is a massive 'what if' that has established villains taking on relatively heroic roles while pushing some popular heroes to a point of no return where the ends justify the means - the start of a slide into villainhood, in otherwords. As executed, the tale can be a little clumsy in places, and while the stakes are high, the conflicts are not as interesting this time around as they were in the original Injustice. 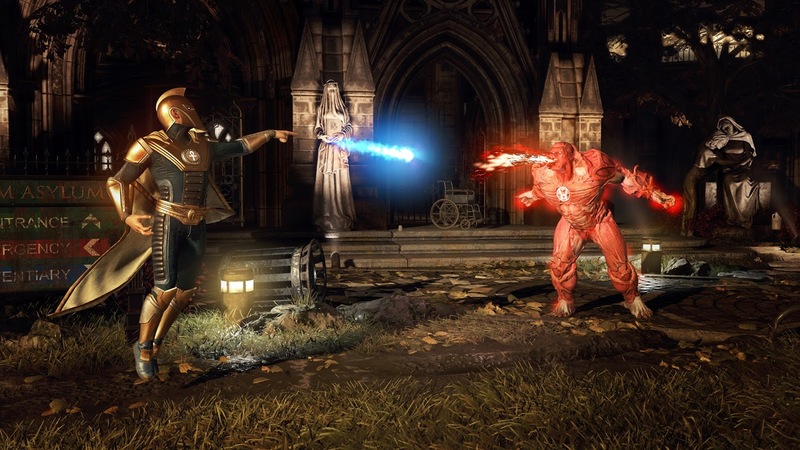 This story mode is again at the centre of what Injustice 2 has to offer, providing several hours of gameplay to get through and leveraging the same system that NetherRealm Studios has put to good use over their last few fighting games. Instead of taking a single character through a series of battles and tucking some narrative around them, the story is broken up into nearly a dozen chapters, and each chapter sees you taking control of different characters. You do not wind up controlling every single character throughout the story mode, and some of the villains are left for you to play with in other modes, but the majority of the sizable roster gets their time in the spotlight throughout the tale. One interesting twist on the formula is when you have two heroes working together in the same scene. That makes perfect sense, since so many of the best battles you see in the comic books involve multiple characters and not just one-on-one scenes. In fact, it offers some entertaining dialogue as as well; look forward to a scene where Green Arrow and Black Canary arrive together to combat the enemy. The married couple banters back and forth, trading quips with one another and blows with their enemies. In these scenes you'll also get the ability to choose between characters to control and the responses they make, and this serves as a great incentive to replay some chapters later and see how the two different options pan out. This is especially true of the end sequence, which asks you to make a fairly substantial choice and offers a dramatically different ending depending on which choice you make. 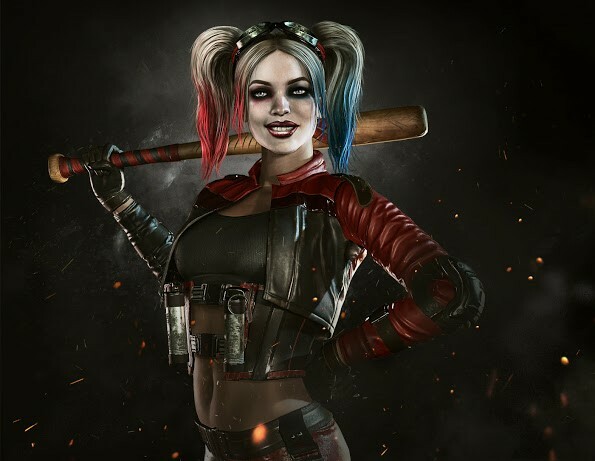 Injustice 2 offers a pretty robust roster, though I have no doubt that future DLC will continue to expand up on it. I admittedly have mixed feelings on that, but I understand that DLC like this is simply how business is done in the industry now. Until the inevitable DLC rolls out, you still have some pretty major characters like Batman, Superman, Supergirl and Joker to play with, but also some lesser-known characters like Swamp Thing, Firestorm and Cheetah to help keep the roster looking fresh. The quicktime events from the first Injustice have mercifully been scrapped, as I found them gimmicky and distracting. Instead the studio has put the focus on the combat, which is is generally fantastic. 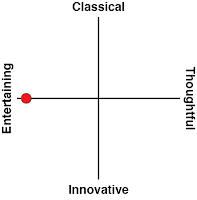 Obviously some characters fare better than others, but almost everyone has some sense of balance to their arsenal. You might think that characters like Cheetah or Bane are at a disadvantage when pitted against characters like Green Arrow or Deadshot that operate from range, but they have skills that allow them to quickly close the gap and unload close ranged attacks that can turn the tables very quickly. 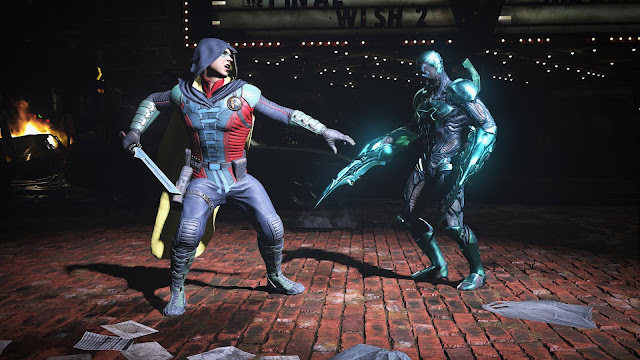 With a variety of new locations, familiar mechanics such as stage transitions, meter burns, super attacks and more, Injustice 2 provides plenty of depth while still remaining a pretty accessible fighting game. This is largely due to the fluid movement and the relatively simple interface that relies heavily on the four face buttons to deliver a special move, and then light/medium/hard attacks. There are fewer inputs and special moves to contend with than titles like Street Fighter that offer more inputs. However, there is enough depth in the systems and combos to reward those who spend enough time mastering the deeper mechanics within the game. Once you best the story mode, you have some pretty traditional options such as online matches at your disposal, but I actually enjoyed the Multiverse mode with its emphasis on earning stat-boosting gear. Again, one could argue that this is simply a way for the studio to bake in microtransactions since you primarily collect this gear through opening randomised boxes of goodies, but those boxes can be earned through gameplay as well. I opened well over fifty just from completing the storyline and doing a few additional odds and ends along the way. These pieces of gear slightly impact cosmetics, but also can improve some of your character's stats such as life or damage. In addition, they can provide new abilities and even have 'sets' that can imbue additional bonuses if you use certain pieces of gear together. This combined with experience earning which can boost your character's level add some nice RPG elements and additional replay value to the game. The Multiverse is an interesting hybrid of modes. It has some randomised opponent matches that hearken back to old fighting games in the arcade where you don't necessarily know who or what you will be up against. Instead, each of these worlds develops a theme, and you work your way through this series of fights to try and complete the lightweight storyline that accompanies it, as well as completing some optional objectives along the way. This mode takes advantage of your levelled, geared-up characters and lets you not only fight with, but against characters of varying stats and abilities, sometimes tricking modifiers out into the field of battle like hearts that regenerate a player's life if they get to it first. It is a nice spin on the standard formula and provides potentially infinite replay value for those who enjoy the combat, since the planets are sometimes only available for a short time, other instances last much longer. This leaves you to decide just where you spend your time.